The Japan News is an English-language daily published by The Yomiuri Shimbun a leading Japanese newspaper with the largest circulation in the nation. Launched in 1955, the English paper was long known as The Daily Yomiuri. It changed to its current name in April 2013 as part of a major renewal of the newspaper’s content. 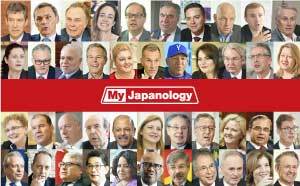 Our mission is to offer the latest and most reliable information about Japan to the world. Drawing on The Yomiuri Shimbun’s broad news coverage network, we are an excellent source of both domestic and foreign news. The Japan News has also a partnership with The Washington Post, the Los Angeles Times and The Times of London. Asia News Network, a network of 22 media groups in Asian cities, includes The Yomiuri Shimbun and The Japan News as its only members from Japan. Our Nation, International and Economy pages provide breaking news, while our Editorial and Opinion pages offer new insights into world events. The Culture, POP&COOL and Arts & Lifestyle sections keep readers abreast of the arts and pop culture, while JN LearningLab dishes up useful and fun education tips for both English and Japanese learners. Our Science & Nature and Health pages are filled with the latest information from these specific fields, while Nippon Sports follows the activities of Japanese athletes both at home and abroad. More features can be found on our Way of Life and Travel pages. Also check out the Asian Angle page for insightful coverage by other members of the Asia News Network. Bcon, an English-language daily for British Commonwealth troops stationed in Japan after World War II, is launched in Osaka. Bcon changes its name to Japan News. The newspaper’s head office is moved to Tokyo. 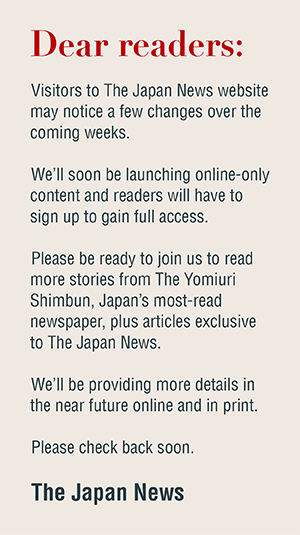 The Yomiuri Shimbun acquires Japan News, launching its English-language sister paper as a community-oriented tabloid. Japan News is renamed Yomiuri Japan News. Yomiuri Japan News changes its name to The Yomiuri, and the newspaper becomes a broadsheet. The Yomiuri publishes an evening edition, titled Olympic Extra, during the Tokyo Olympic Games. The Yomiuri is renamed The Daily Yomiuri. The Daily Yomiuri is designated the official newspaper of the third World Championships in Athletics held in Tokyo. A news service called Yomiuri Report from Japan begins. Daily Yomiuri Online is launched. A one-page daily supplement of articles from The Washington Post specially chosen for republication appears. The Yomiuri Shimbun and The Daily Yomiuri move to Tokyo’s Higashi-Ginza district due to reconstruction of the head office in Otemachi, Tokyo’s Chiyoda Ward. The Daily Yomiuri changes its name to The Japan News and revamps its entire layout. The Yomiuri Shimbun and The Japan News move into their new head office in Otemachi.